Rather than just a quick paint and polish, when I have a bit more time, I give these hardworking hands a nice massage with a homemade scrub. I was tempted to buy the Lush salted coconut one as it smells divine, but I think £8 is rather expensive for a hand scrub. So I rummaged in my cupboards and came across some detox bath salts. 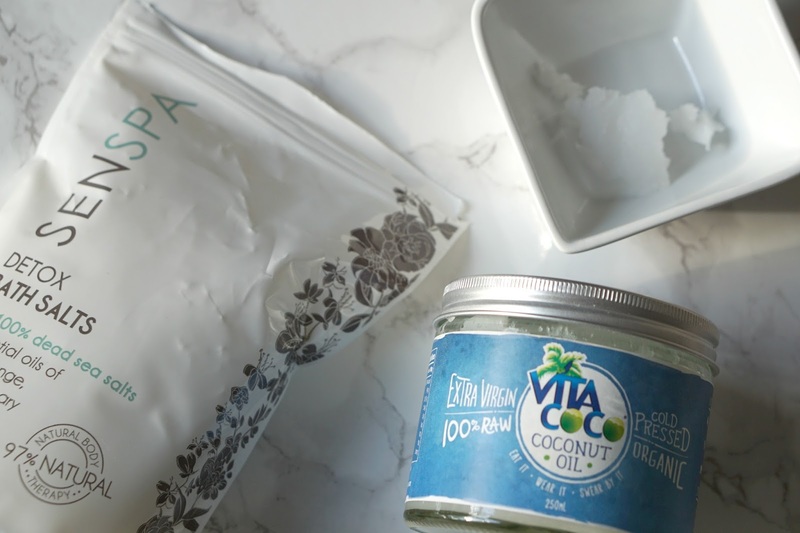 Mix with a bit of melted coconut oil, and bam, one hand scrub for free! Wet hands before massaging in for more gentle application. I'll finish up with a hand cream. And as someone with the driest hands in the world, I know my hand creams. 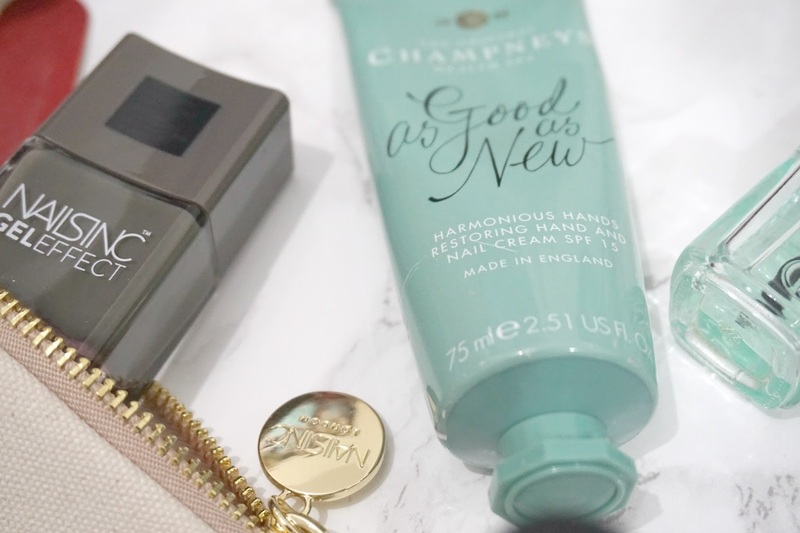 My latest love is the Champneys Good As New hand cream. 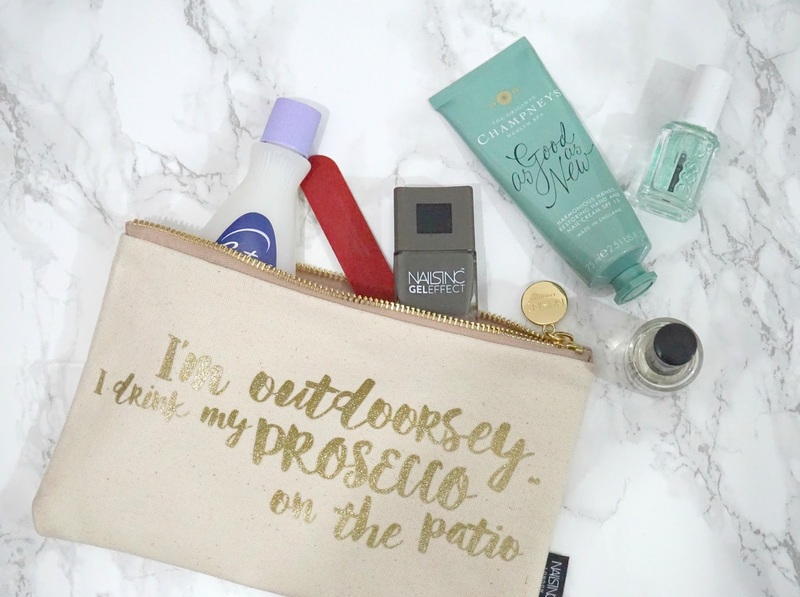 It's a nice bit of luxury to keep in my handbag. Trust me, I need it. After a file and some cuticle care, they are ready for a polish. 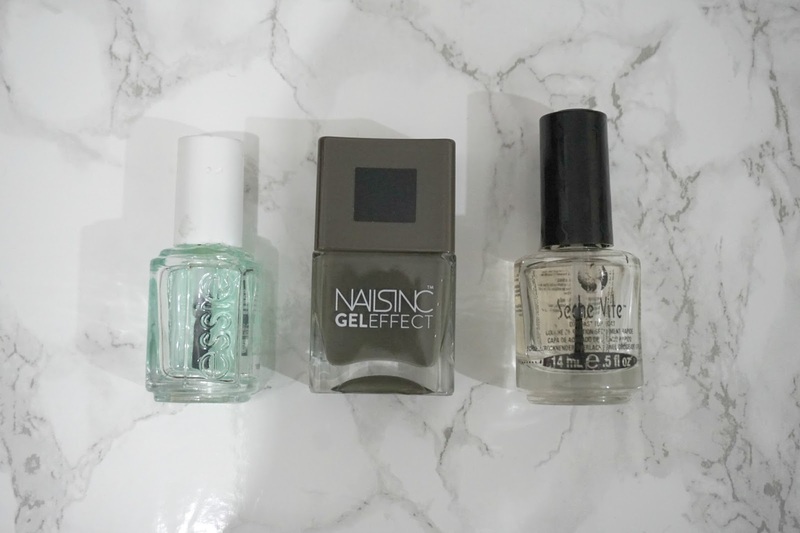 It's the perfect khaki-grey, and basically nails Autumn (excuse the pun). To finish, a quick slick of Seche Vite, so I don't ruin the effort by accidentally applying a bed sheet imprint texture to them come bedtime. And there we have it, a little mid-week "me time". 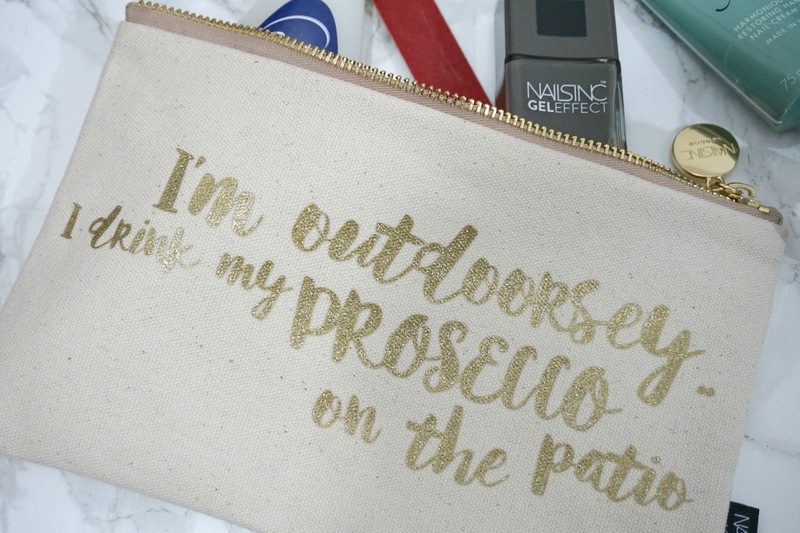 Oh, and if you're sticking with small presents this Christmas like I am, this little pouch that I'm currently using to carry around my top-up make up in, is a very big yes.